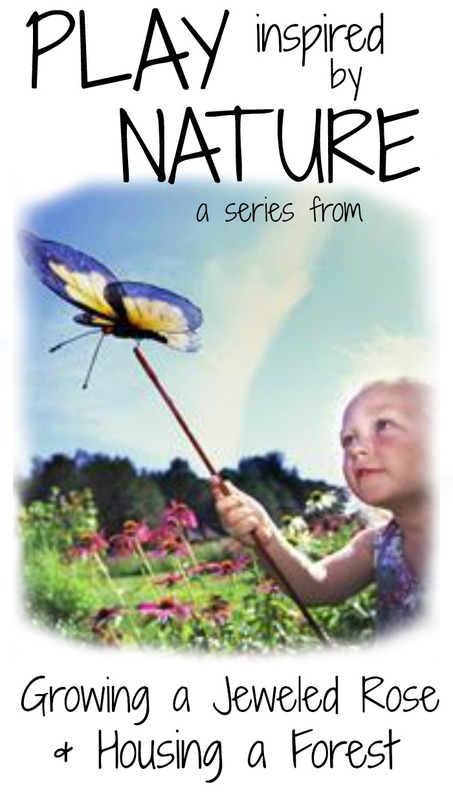 Today is the last day of our week long Play inspired by Nature series with Housing a Forest. We have had such a blast! If you have missed any of the fun we have shared, be sure to check the list of activities from the series at the end of today's post. 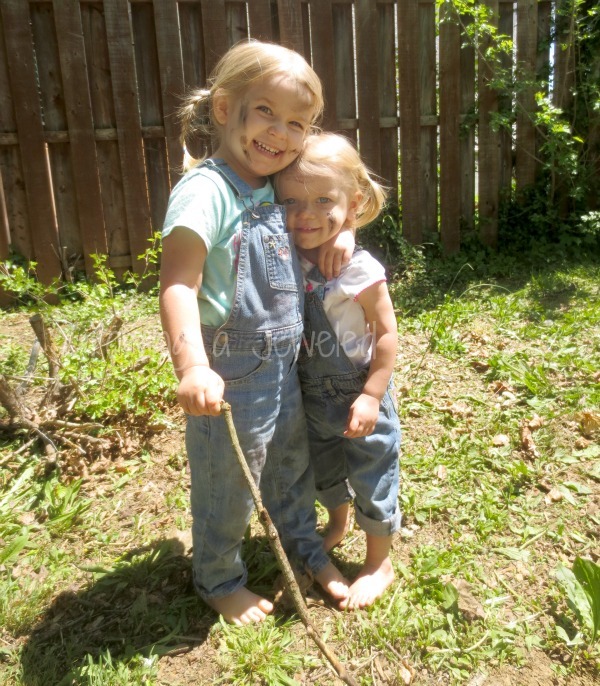 Today, Tammy is sharing about how sticks are nature's greatest toy, and we are sharing another fun mud play recipe. 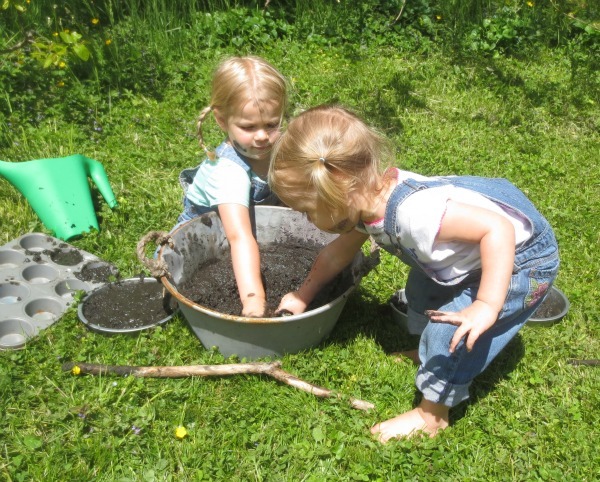 Earlier in the week we shared a princess mud recipe. 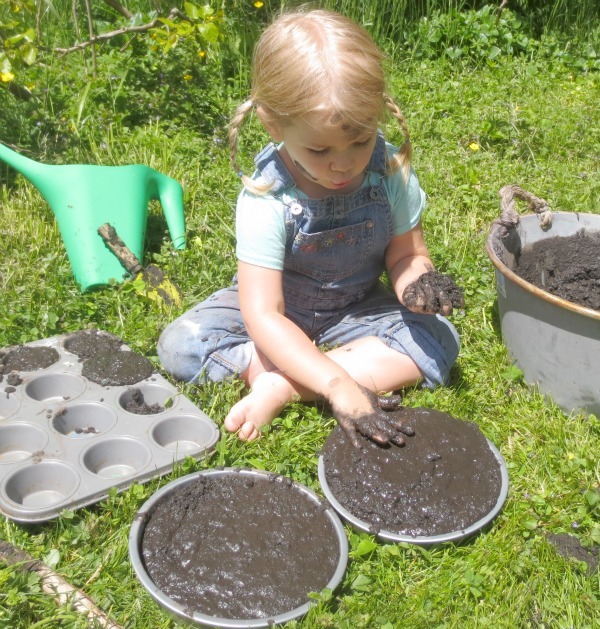 Rosie had such a blast I thought we would finish off the series with another FUN mud play recipe. 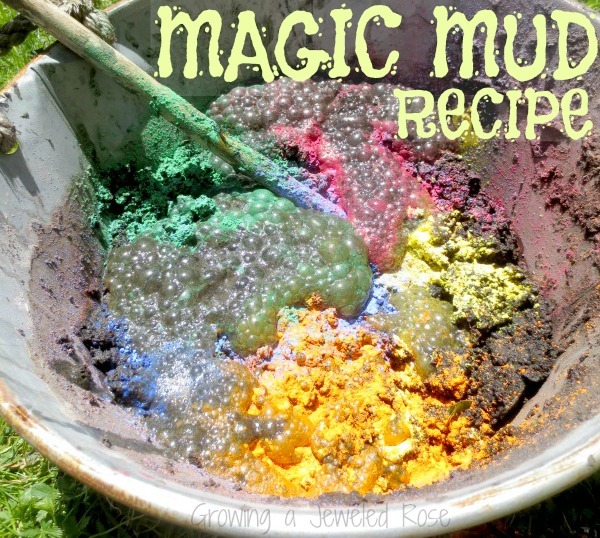 We have shared a MAGIC mud recipe before using an indoor faux mud. 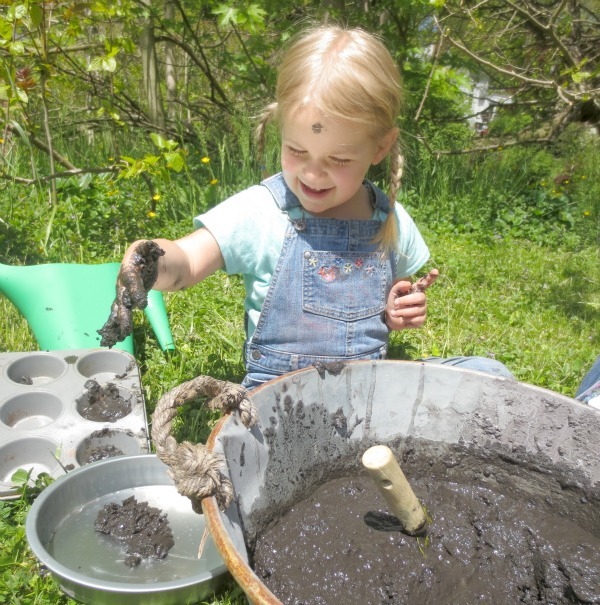 This time we were excited to make magic mud using REAL MUD! 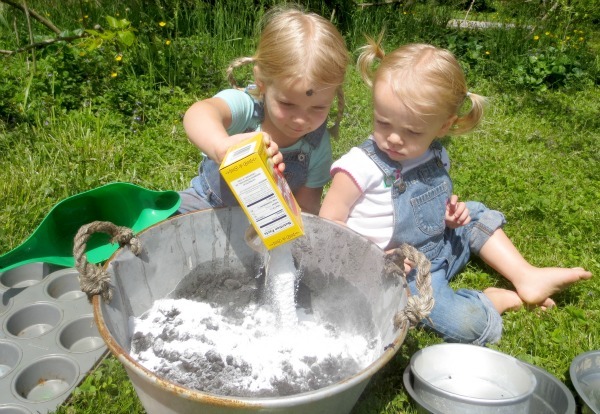 Essentially all you need to do to transform plain old mud into MAGIC MUD is add baking soda while mixing up your mud. 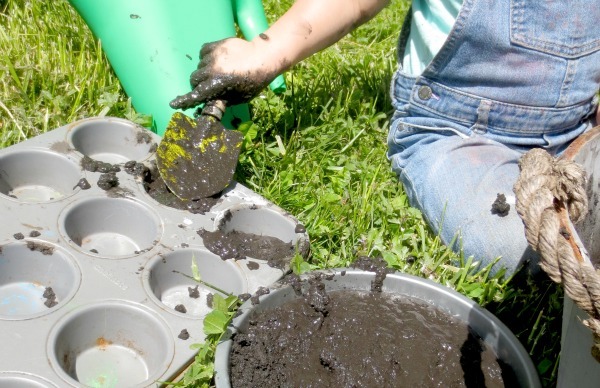 Once the mud is all mixed up, it will look just like plain old mud. 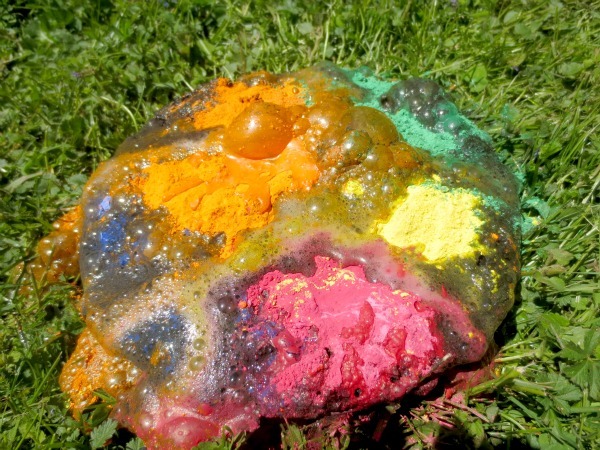 Little ones can then have a ball playing and making mud pies, cakes, muffins, and more! 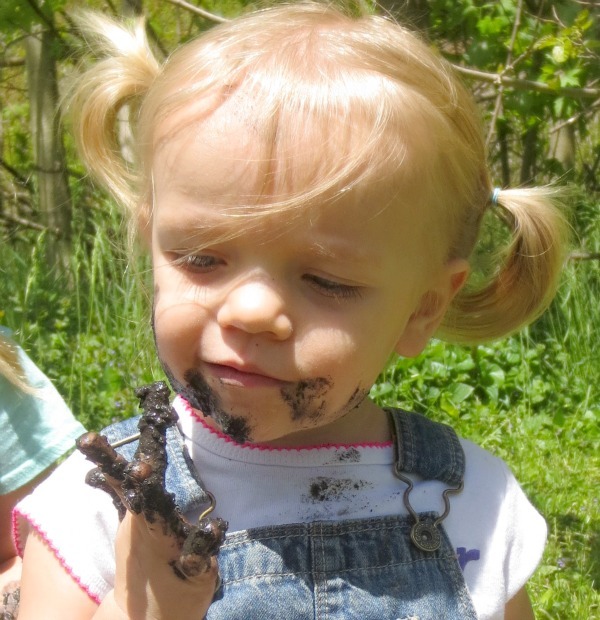 Making mud pies is one of Rosie's favorite ways to PLAY! Rosie made lots of pies and muffins, and played for a really long time! Then it was time to make the MAGIC happen! 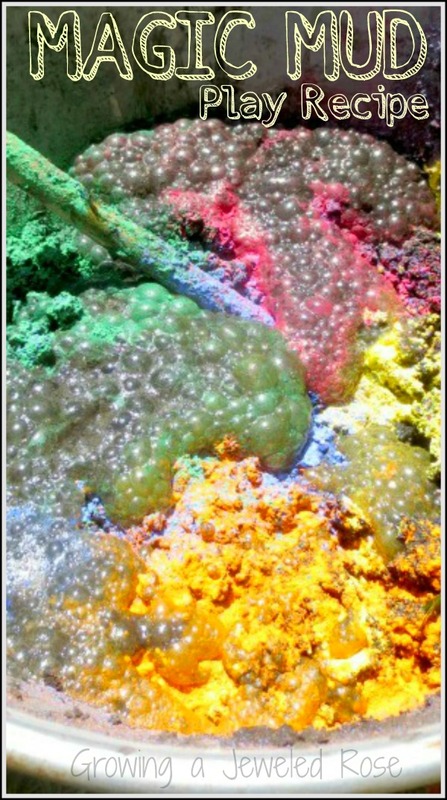 I gave Rosie a cup of vinegar and she had a blast making her pies erupt into beautiful rainbows of color! 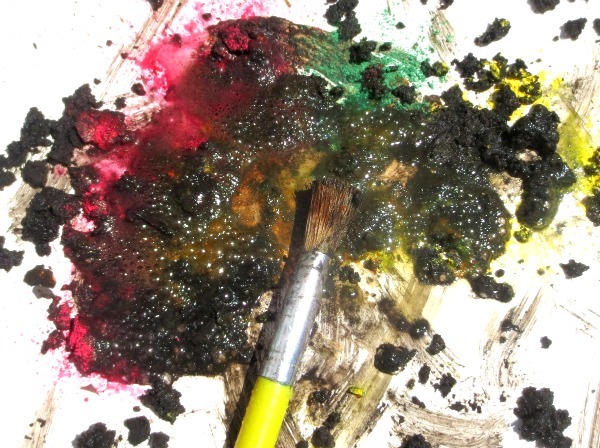 I just love using powdered tempera in our activities. 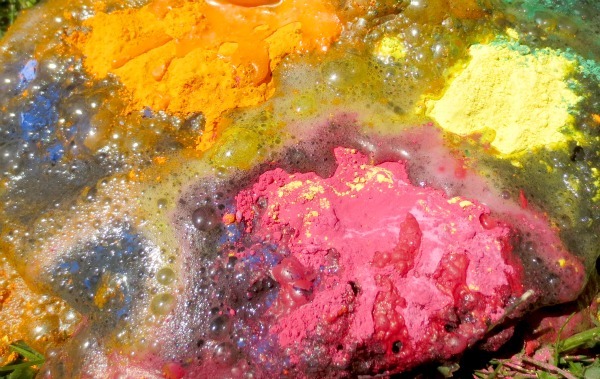 It is so colorful and fun! Rosie added more and more vinegar until her magic mud no longer reacted. 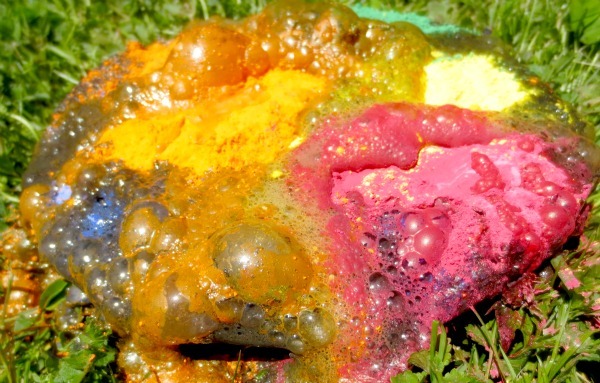 By then her pies were a beautiful, colorful, soupy mess! After we were done making pies Play continued! 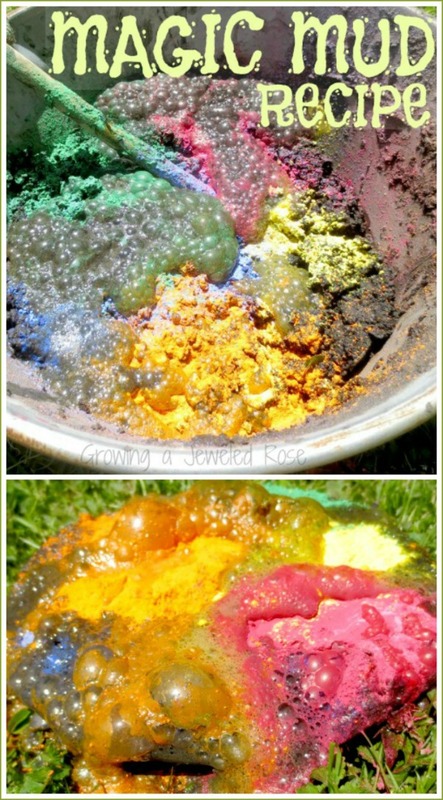 We added color to our left over mud mixture and used it to paint. 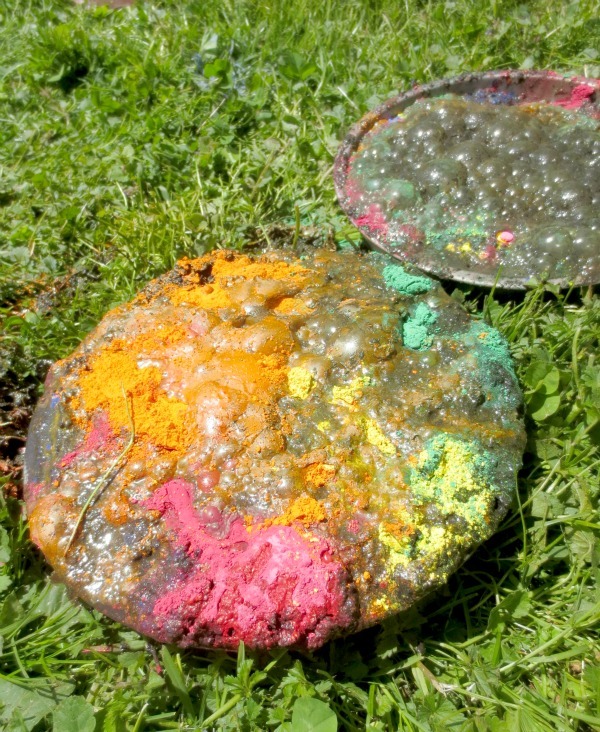 The magic mud paint was SO FUN! Full post coming soon! Check back with us! 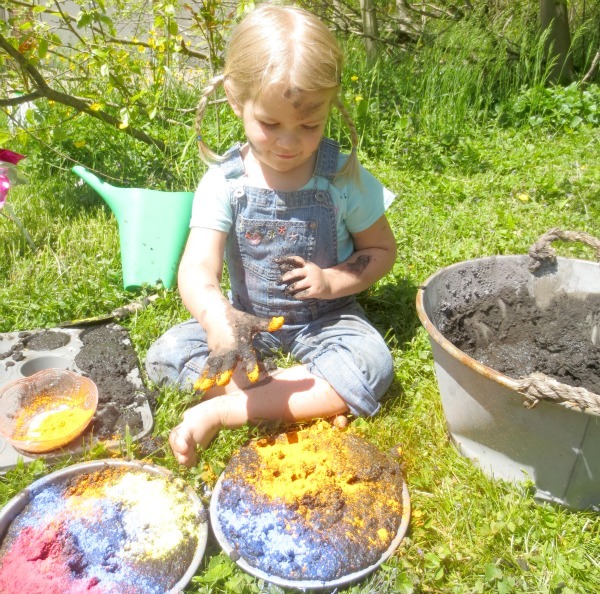 Our MAGIC MUD kept us busy all morning, and it was quite a magical morning too! why sticks are nature's greatest toy!